As electioneering opens for the 2019 general elections, I write this, about Nigeria’s CCTV surveillance mess, as a warning. It began as a crowd-pleasing proposition: install CCTV cameras in Nigeria’s biggest cities: Lagos and Abuja, to combat crime. That was 2008, and President Umaru Yar’Adua, visiting China, put the plan into operation following talks in Shangai with ZTE Researching and Development Centre. The project would be known as the National Public Security Communication System (NPSCS) and involved the installation of 1000 cameras in each city. The contract, for $470 million (N76 billion), was awarded to ZTE in 2009 under the supervision of Acting President Goodluck Jonathan after a Federal Government delegation had returned to China and signed a Memorandum of Understanding (MoU). The team was led by the then Finance Minister, Olusegun Aganga, who was accompanied by such top officials as the Minister of Police Affairs, Adamu Waziri, and, the Inspector General of Police, Hafiz Ringim. CCTV systems aimed at heading-off crime have proved to be pivotal on many occasions. Nigeria had an easy example in Britain, which has an extensive and intensive system of over four million CCTV cameras, most of them installed after the 911 attacks on the United States. London alone has about half a million cameras in its surveillance system. In New York, the police’s Domain Awareness System has over 18,000 interconnected cameras, in addition to those in the private sector and law-enforcement databases. The police are widening their access to the video-surveillance systems of private operators, including 4,000 cameras in all five boroughs. But it was only in 2006, just 12 years ago, that the NYPD first began to use street cameras, about 500 of them, costing $9 million. They were then extended to public housing (about 7,000), parks, rooftops, the subway (about 4000), sidewalks, bridges and tunnels. In Nigeria, work on the Yar’ Adua-inspired project began in 2010, the same year Abuja suffered its first series of violent attacks, beginning with twin car bombs during the country’s 50th Independence Day celebration in October. In June and August of 2011, the Police Headquarters and the United Nations buildings suffered separate suicide-bombing attacks, with a tally of over 30 persons killed. 2012 was even worse, with ThisDay newspaper, Emab Shopping Plaza, the Nyanya Motor Park, and a location opposite that park attacked. Over 100 were killed. That was also the year the NPSCS was supposed to have been delivered, and people were left wondering what had happened. In August 2013, ZTE announced that the project had been completed and handed over to the government, Deputy Managing Director of ZTE Nigeria Brielle Gao conceding it was delivered behind schedule. It immediately became clear to the public that the CCTV surveillance was not functional. The system was nothing like in other places, as brazen crime continued, and police performance was unimproved. But the truth was worse: there were really two scams in one. Four years before Yar’Adua’s visit to ZTE, the government of President Olusegun Obasanjo had announced an N847 million ($6.4 million) contract for a CCTV surveillance system for Abuja and Lagos. That was in November 2004, and the contract was awarded to Messrs Tele Mobile Nigeria Ltd. Following a FEC meeting on November 10 of that year, Broderick Bozimo, who was the Minister of Police Affairs, told State House correspondents that in addition to installing the CCTV surveillance in both cities, the government had also approved the purchase of 1,000 specialised Suzuki security motorcycles for the police for patrols at a cost of N474 million ($3,565,630). Keep in mind: that was two years before the New York Police installed its first batch of surveillance cameras. In mid-2009, police spokesman Emmanuel Ojukwu confirmed that the Tele Mobile contract had been commissioned in September 2006. In other words, at the time Yar’Adua was visiting ZTE in Shangai in March 2008, the two cities of Lagos and Abuja already had the same CCTV surveillance system he was negotiating for: $6.4m worth. 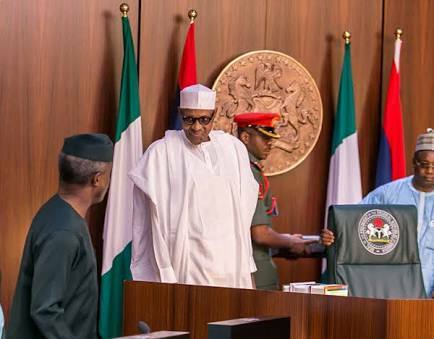 Nonetheless, Nigeria plunked down a down-payment of $70.5m, being 15 per cent of the contract sum as agreed, in order to access the $399. 5m loan from China, with the contract slated for completion in May 2011. But as Nigerians got killed in droves all over Abuja between 2010 and 2012, it became obvious that something was seriously wrong. We didn’t have a video-surveillance system. There was also no sign of the 1,000 special Suzuki patrol motorcycles. And we didn’t have a Rapid Response police squad that Mallam Nasir el-Rufai had also said in May 2005 was being setup in the FCT. Mr. El-Rufai, the then FCT Minister, had told police Acting Inspector General of Police Sunday Ehindero during a visit the Rapid Response squad would include a SWAT team which would be equipped with two specialised helicopters to be purchased by the FCT in 2006 and 2007. So there we were in 2012, with most Nigerians unaware Obasanjo had even contracted for a city surveillance system, and the Yar’Adua/Jonathan system not in place. In 2013, ZTE—not the government—announced the job was done. But where was it? In every city in the world where similar systems are in operation, there is an operational Command Centre which advertises its capacity as a way of attracting public patronage. In Kenya, for instance, the National Police Services Traffic Command & Control Centre in Nairobi monitors that city’s 1800 cameras. Its large Despatch Centre and Call Centre work 24 hours a day, responding to about 40,000 calls. 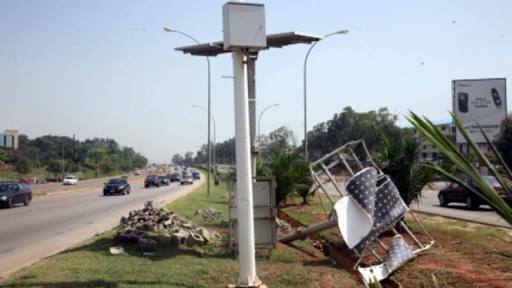 Strangely, in Nigeria, two separate surveillance systems were “completed” in Abuja and Lagos in the seven years between 2006 and 2013, and yet none of them functioned or appeared to have a Command Centre known to the public and the press. Public outrage soon erupted in investigations of the House of Representatives in the later days of the 7th National Assembly and early in the 8th, each of which dissolved into complicit silence. In 2014, the EFCC announced it was launching an investigation. Only its stunning silence, and the mockery of the world, has been heard in the past four years. It was never unimportant, but with Nigeria back in election frenzy, I wanted to remind the country of this story, which involves every political party that has ruled since 1999, and every president and every government, and every key agency and organ of government. It is a good story by which to assess the past or gauge the future. It is a good question to ask both heroes and enemies, as well as the criminals and those who claim to be fighting them. It is a story that thoroughly illustrates how broken Nigeria is, and suggests that nobody is really in control, and that any step forward is often happenstance. But these things will never stop until Nigerian citizens take their screams to the streets and refuse to be bullied, persuaded or consoled. Because nobody can transform or change us: we it is who must compel of them transformation or change.